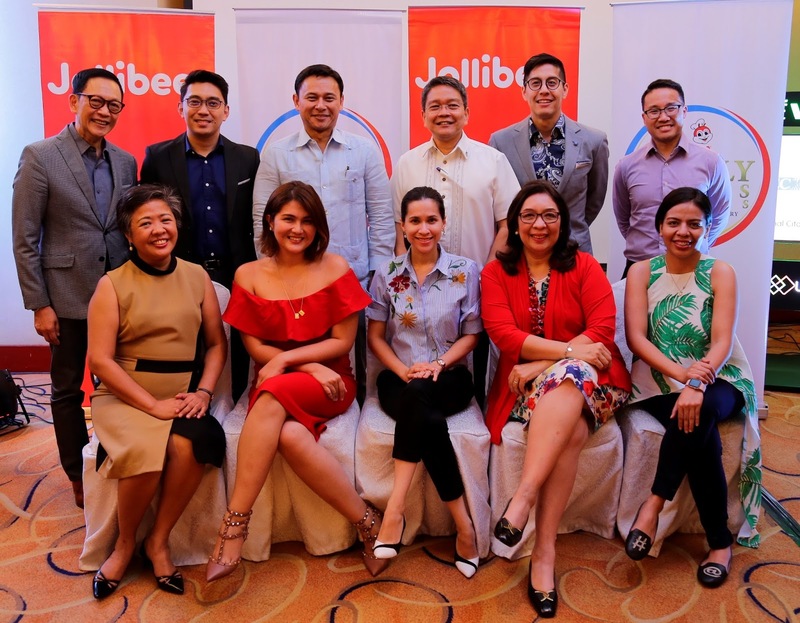 7th Jollibee Family Values Awards reveals 15 new finalists - Hello! Welcome to my blog! CELEBRATING THE HEROISM OF FAMILIES. The 7th Jollibee Family Values Awards Judges (sitting, from left) Jollibee Group Foundation Executive Director Gisela Tiongson, actress and host Dimples Romana, columnist Audrey Tan-Zubiri, parenting and relationship consultant Maribel Dionisio, Coca-Cola Philippines Public Affairs and Communications Manager Sam Sanchez (representing Atty. 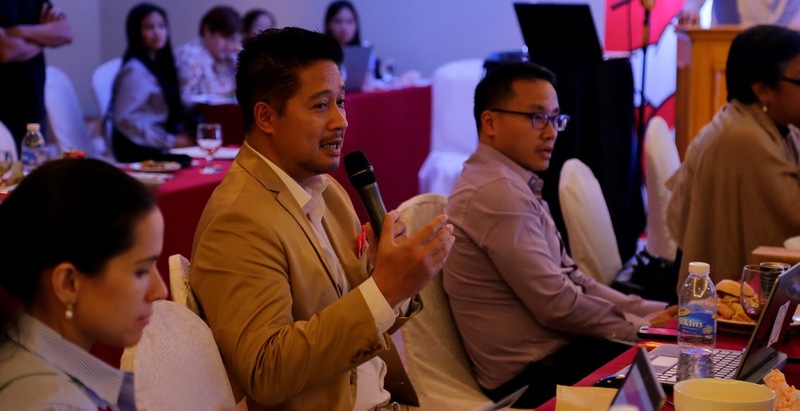 Adel Tamano), (standing, from left) inspirational speaker Francis Kong, Jollibee Global Brand Chief Marketing Officer Francis Flores, co-chairs Sen. Sonny Angara and Fr. Jett Villarin, news anchor Edric Mendoza, and Jollibee Philippines Human Resources Head George Wang III. Jollibee has revealed a new batch of hero families vying for the 7th Jollibee Family Values Awards (JFVA). The annual search for outstanding families has named 15 finalists, from hundreds of entries submitted from all over the country and abroad. After a rigorous screening process, five families from Luzon, five from Metro Manila, two from the Visayas, one from Mindanao, and two from the United States were handpicked to complete JFVA’s finalist slate. Among the finalists are: Acula Family (Taguig), Felix Family (Pasay City), Lumbao Family (Pasig City), Matti Family (Taguig City), Rodriguez Family (Quezon City), Arquiza Family (Camarines Norte), Casaje Family (Rizal), Dickson Family (Abra), Macalintal Family (Oriental Mindoro), Mallari Family (Rizal), Caballero Family (Negros Oriental), Drake Family (Bohol), and Borela Family (General Santos City). Two OFW families, Castro Family (San Jose, California), and Salangsang Family (Sacramento, California), are also included in JFVA’s top nominees. The finalists will vie for the six JFVA Family Awards and six Special Citations during the Gabi ng Parangal para sa Pamilyang Pilipino, the search’s culminating event, on October 11 at Crowne Plaza Hotel. Co-chairs Sen. Sonny Angara and Fr. 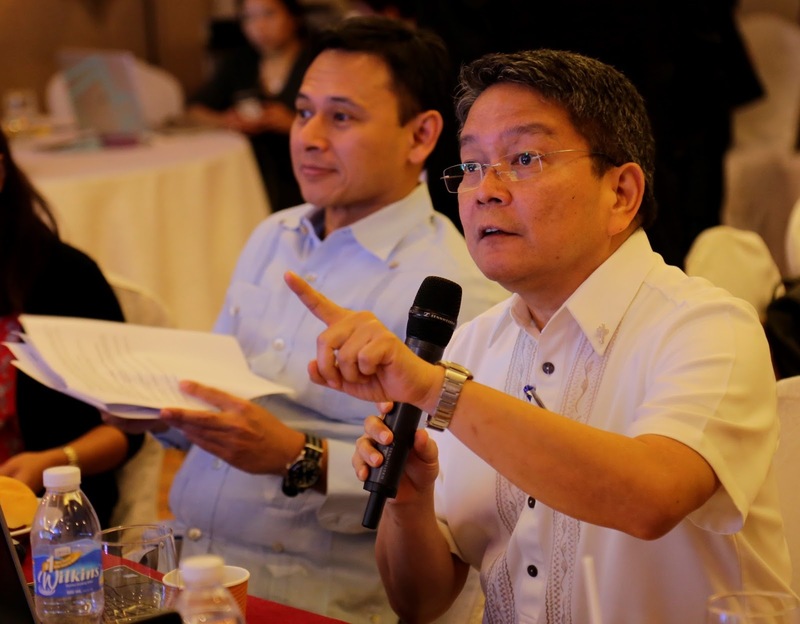 Jett Villarin preside over the 7thJollibee Family Values Awards deliberations. Jollibee’s 11-member panel of judges, co-chaired by Senator Sonny Angara and Father Jett Villarin of Ateneo de Manila University, will determine the winners of this year’s search. The body is also tasked with confirming the JFVA partners’ recommendations for special citations. Actress Dimples Romana and Jollibee Group Foundation Executive Director Gisela Tiongson also join the JFVA this year. Completing the panel are returning judges - children’s advocate and columnist Audrey Tan-Zubiri, ANC news anchor Edric Mendoza, international speaker and author Francis Kong, Coca-Cola Philippines Vice President for Public Affairs and Communications Atty. Adel Tamano, parenting and relationship consultant Maribel Dionisio, Jollibee Philippines Human Resources Head George Wang III, and Jollibee Global Brand Chief Marketing Officer and Jollibee Philippines Marketing Head Francis Flores. A veteran JFVA judge, Coca-Cola Philippines’ Vice President for Public Affairs and Communications Atty. Adel Tamano probes into the entries. Five exemplary families and one OFW family will each receive a P300,000 cash prize, Jollibee gift certificates worth P10,000, and a trophy designed by renowned sculptor Michael Cacnio. A P50,000 cash prize, Jollibee gift certificates worth P3,000, and a special plaque will also be conferred by Jollibee along with its citation partners to families with the following advocacies: Education (co-presented with National Bookstore), Environment (Maynilad), Children (Children’s Hour), Youth Empowerment (AIESEC) and PWDs (National Council for Disability Affairs. The Jollibee Family Values Awards continues to sound the call for heroism among families on its 7th year. The search is made possible with the support from co-presenter Coca-Cola Philippines, official hotel partners Crowne Plaza and Holiday Inn, and campaign sponsors Devant and Hisense.